Mining jobs.. everyone wants one, especially a job that require no previous experience in mining. The big question is how do you get an entry level mining job and have a shot at the ‘big money’? The inside dirt direct from the coal face! 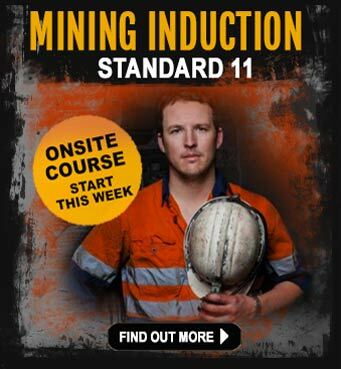 Can you really land a mining job and potentially be earning $90-130K in the mines in Australia? Common questions you`ll be asking yourself right now if you’re looking for entry level mining jobs! I want to work in mining or oil and gas, but I’ve no idea where to start. Everyone wants a mining job.. why?.. because the money is huge and everyone knows it! There`s a lot of stories floating about from people who know someone who got a job in the mines. So we thought we’d remind you of how to go about finding entry level mining jobs. We’ve draw on the many people who’ve been successful in getting jobs – ordinary people who have got off their backside, not listened to the hard luck stories and got out there and started working in entry level jobs like cleaners, housekeepers, chef’s and drivers on a mine site. After you`ve read this article, there`s two things we’d like you to do “¦ can you do that? 1) Download our free Mining Jobs Guide book (the link is at the bottom of the page). This has loads of great information on how to go about getting an entry level mining job. 2) If you liked what you`re read and you know other people who may be interested in getting a $130,000 job in the mines ““ tell them to download the Mining Jobs Guide book and ‘LIKE’ iMINCO on facebook. So what`s it like when you start working in the mines? Everyone has different stories about what it`s like to work in the mining industry in Australia. There`s such a diversity of jobs in very different locations. There`s the hot and arid mines in WA`s Pilbara and the hot and steamy mines in Queensland as well as the cold and damp mines of NSW and Tasmania. Of course not forgetting underground mining jobs which are simply a whole new ball game. So”¦ let`s talk about what most people think it`s like to have a job in the mining and resource sector. When you finally get a job on a mine site, the first thing you`re going to be aware of is you`re going to earn a big pay packet, even for entry level mine jobs, you can expect to earn a healthy $80 to $120,000 plus, per year. 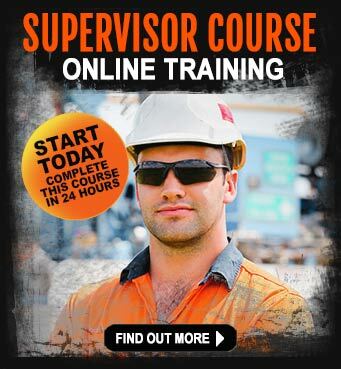 Often you earn the big dollars because you may be working a FIFO job in a remote mining. The reality is, yes”¦. mining companies are looking for skilled workers, that`s never going to change. However, even if you`re applying for mining jobs and you have no experience, what will really help you is getting lots of qualifications (mine site “tickets” like Safety, 4WD Vehicle, Security and Heavy Rigid (HR) licences. Just having these on your resume will rapidly increase you employability chances. 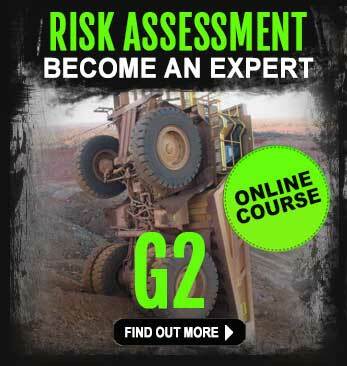 Get the right mining qualifications under your belt first. Choose the right mining training courses from a recoginsed RTO that specialises in mining, mining machinery training and other courses like Work at Heights and Confined Spaces training. These are absolutely essential because they are part of the RII qualification standard. The Resource Industry Infrastructure is a government standard for attainment in the industry ““ so you absolutely must have some training courses on your resume. Then get your resume sorted. If your resume is old, outdated and does not contain the right keywords ““ chances are your online application will go straight into the digital `trash can` ““ it happens a lot!! So how easy is it to find a job in the mines with no experience? Be prepared to fight for your mining job. One recruitment company gave good advice and they said “apply, apply, apply, then apply some more”. The recently had 4 mining job vacancies and 700 people applied so they took the ad off the internet jobs board. What they did next was trim the applications down and shortlist to about100. They then conducted phone interviews with the 100 who were shortlisted and managed to trim that list even further to about 20-30 people ““ who they then go in for face to face interviews. We`ve heard from a few FIFO mine workers it’s not what you know, it’s who you know. They say the only reason they got their foot in the door was from a mate recommending them. Start networking. Reel in favours from people who know as well as your friends and neighbours. Call or speak in person to everyone you know who has some connection to the mining industry. No matter what type of job they do ““ get in there and start asking questions. You have to be persistent as well as realise it may take time ““ so be patient too. Other people we have spoken to said they only did the basic training courses like the mining induction, which is a course that teaches you mining safety as well as introduces you to the ins-and-outs of the mining and resource sector. If you`re not aware of the terms SLAM, JSEA, BERM, PPE, DELINEATOR, DONGA. Because many people looking for entry level mine jobs lack real mining experience there seems to be limited number of mining type jobs to apply for. What you need to do is hone in on the types of jobs you enjoy doing – then focus your efforts there. Mining companies are more likely to hire you if you live locally or within a short distance to a mine. That way you are ready to go at a moment`s notice. This is not always the case of course with many people finding their mining job requires them to fly in fly out (FIFO) to the mine.You should also take note that when things get tough (and they do), FIFO workers can be the ones who feel the effects of staff cost-cutting because FIFO transport costs mining companies big dollars (compared to workers who live locally). Your physical fitness is important. This can be determined by a pre-employment medical if you are planning on working in a coal mine. This examination is called a Coal Board Medical. Mining companies are paranoid about safety ““ and with good reason. People can die on a mine site because of carelessness and not paying attention to the safety procedures. You may also be required to pass a drug and alcohol test. These tests will be ongoing throughout the term of your employment ““ so we aware random tests can happen at any time and you should drink in moderation and never do drugs. 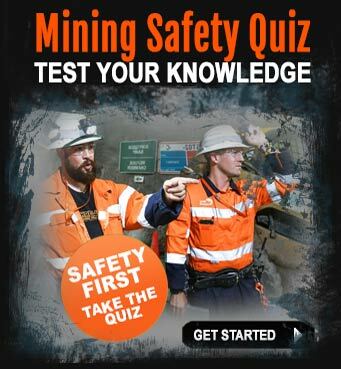 In some states of Australia, mining companies insist all new employees pass a criminal history check too. What`s it like to work on a mine when you don`t have much experience? Every mine site is different, so there`s no real guide to how it`s going to be for you. It depends on the job and the location. Your personal safety is high on the agenda of mining companies, you really should look at completing a mining induction course first, and when you’re on-site, you`re required at all times to wear PPE (Personal Protective Equipment). This means high-visibility long sleeve shirts, jackets, long trousers, safety boots, hard hat, protective glasses, gloves and face-masks when required. Mining work is usually dusty and generally involves a lot of dirt. I can be hard work, sometimes monotonous and depending on the job, it can come with varying levels of uncomfortableness. You have to get used to being told what to do, sometimes by Supervisors and Managers who are a lot younger than you. Learning to take orders and direction is a something a lot of mature workers new to the mining industry find hard to adjust to. Get used to it, be supportive of your Managers, they`re just doing their job and most of the time they`ll tell you to do things in order to keep you and other workers safe from accidents and injury. Working all day from 6am till 6pm is tiring, so you need to be physically fit and be prepared to get stuck in and “no whinging”. The honest truth is that a lot of mining jobs and the physical demand of the work won`t suit everyone. Working in remote locations, on mine sites that are a plane trip away from your wife, partner, children and extended family for extended periods isn`t easy. You`ll be facing a few new mental challenges and being able to cope with the various emotions can be too hard for some. Being able to work through the process of how you`ll cope with a mining job is one of the first considerations. Talk it through with your family first and work out some solutions and options. Build a support network at home for your family and children and manage your finances too. Set a budget and start to plan how you`re going to invest all that extra cash you`ll be making. How much can you earn doing entry level jobs in mining? That`s a good question and one that`s on everyone`s mind. It`s no secret mining jobs pay well, even for entry level mining roles. As a new starter, don`t expect to earn $150,000 a year off the bat. You can however, expect to earn anywhere upwards from $90,000 ““ depending on the job description and where the mine is located. Mining companies spend a fortune on advertising, selecting, training and inducting new workers so it`s not easy to replace a person in a mining job at short notice. Over the last 12 months Australian mining companies have had to deal with a high level of mining jobs `churn`, where unskilled workers have started a job then left to either go to a better mine to earn more money, or be with their mates ““ or they`ve simply left the industry. Entry level mining job seekers may find they are under a trial period to see if they can fit in and adapt to the work lifestyle. There may be times when your pay is linked to a probationary period, so once you can prove to the mining company managers you can stick it ““ your pay may increase. Don`t forget that many people start their mining career at the entry level rung of the mining job ladder and go on to work their way into higher paid jobs like machinery operators, dump truck drivers and production personnel. Your mining job may start out at entry level, although only you can decide where it eventually takes you in terms of money and career advancement. Do your research on the mining industry and mining companies. Find out where the mining projects are and decide where you would feel more comfortable working ““ either interstate or close to a mine site. Talk to your friends and friends of friends if they know anyone working in the mining industry. Chances are there`s someone who knows someone ““ and this is your opportunity to take action and make contacts. It`s often who you know not what you know. Don`t focus on the `big money`. Concentrate on getting an entry level mining job first, then work your way up. Once you`re scored a job, if you have the right attitude and work ethic, then there`s really nothing stopping you from up-skilling and getting yourself noticed by your Supervisor and Manager. When the time comes for promotions ““ you`ll be in with a good chance of jumping the queue. The secret to your mining career success is knowing where to find entry level mine jobs and knowing how to prepare your resume for this specific industry. At iMINCO we`ve helped hundreds of people find a well-paid entry level mining job even without having previous experience. If you have a comment about finding entry level mining jobs or you know someone who has been successful at landing a job in the mines, please leave a comment below.